And now for one of the more difficult categories. The sound design this year is so diverse that I am going to out on a limb and predict a split in the two sound categories. To be clear, sound editing is the art of creating sound effects, while sound mixing is the art of combining the sound effects, score, and dialogue so that everything is clearly heard. So, lets take a look at the nominees for Sound Mixing. The first nominee is Argo, and I won’t be listing the names of the sound designers, because there are way too many to count. I really enjoyed the mix in the film. Not only is every word of dialogue clearly heard, but when the movie needs to get more exciting, it gets very hectic and keeps you on your seat. Although I personally prefer the more energized mix of Zero Dark Thirty, it wasn’t nominated. (Seriously, Academy?) It is a contender, but I don’t know.. 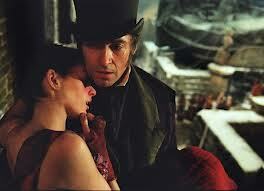 I think that our winner is going to be Les Misérables. At first, I didn’t understand why everyone is calling it a lock. But now, I get it. The film is made in a way that revolutionizes how musical movies are done. In the past, the actors would lip-synch to pre-recorded songs, like in this clip. But in Les Misérables, the actors record their singing live on set, like in this clip. See the difference? Not only does it sound more realistic, but the world that the musical takes place in seems more real. Its a shame that we never get any dialogue, but still, this revolutionary way of doing things is the frontrunner to take home the gold. Not to be underestimated is Life Of Pi. Why? Because, quite simply, it’s the best of the year. The business of India, the solemnity of the ocean, the wonder of the island. None of these would be as effective without the incredible sound design, and it easily gets my vote. Les Mis is the frontrunner, but this movie is waiting in the wings. And if you don’t vote for it, Richard Parker will eat you. Lincoln is nominated too, but it’s as deserving as King’s Speech in the regard that it’s only there because it’s a Best Picture frontrunner. Next. The laat nominee is Skyfall. Greg P. Russell has been nominated fifteen times and still does not have a win. But hey! That’s what pats on the back are for. It’d be nice to see him win for Skyfall, but we have to take into account that Skyfall is not a Best Picture nominee. Great sound design, but it isn’t going to win. Sorry, Greg. We still love you.